So in the first few innings, Mitch Haniger, Denard Span and Jean Segura got caught monologuing, bragging to Justin Verlander how feeeeeeeble he was and how inevvvvvvitable his defeat was. He didn't have much of a reply and the Mariners began their predictable charge back into control of the AL Wild Card race. It’s not like Verlander was having an off night, either. The Mariners were hitting bona fine Verlander pitches; his fastball was averaging 95.3 miles an hour in the first two innings and have a 12 inch hop to them. He was on an 8-game roll and last time out he fanned 14 men. For example, Haniger's leadoff home run improbably came on an 0-2 96 mph fastball; Span followed with a sizzler down the 1B line into the corner for a standup triple and the M's were on their way to a 1st-inning cycle. In fact, they said on TV that it was only the 6th time that the first 4 heaters hit for the cycle in MLB since 1974. 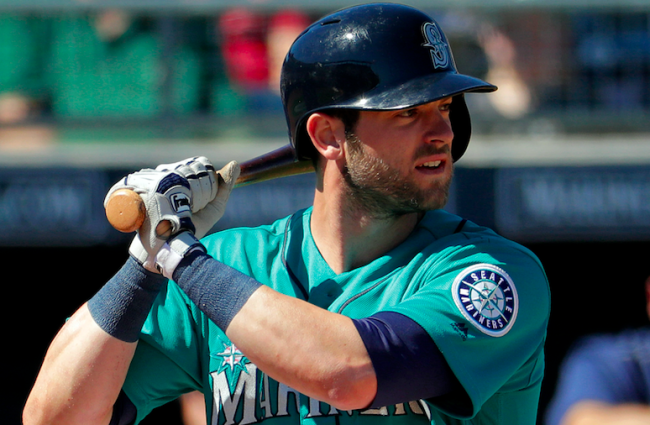 Mitch Haniger - his 5 2 4 2 line left him with 19 homers and 74 RBI, a .271/.361/.470 slash line, and on pace for a 27-103 season. He is #17 in the AL in OBP, not bad for a power hitter. Denard Span - his own 3 2 3 3 night left him with a .275/.354/.444 slash on the year, not to be confused with Mike Trout but also not to be confused with Guillermo Heredia. Jean Segura - he went for a 5 2 3 2 batting night and this brought him to a .308 avg with the usual gap power, a .438 slug. Kyle Seager with two base hits and they pointed out how he may have "fixed" his swing, pushing his hands straight back and keeping his bat in the zone a long time as opposed to dipping them in the hitch that can make contact much more difficult. Nelson Cruz with the single that completed the M's 1st-inning cycle off Verlander. Cameron Maybin with a base hit that is at least a token reward for the way he’s been smoking line drives since coming to the Mariners. Oakland off on Thursday, starting a series with the nemesis LAA. At least Dr. D hopes the Angels are their nemesis.